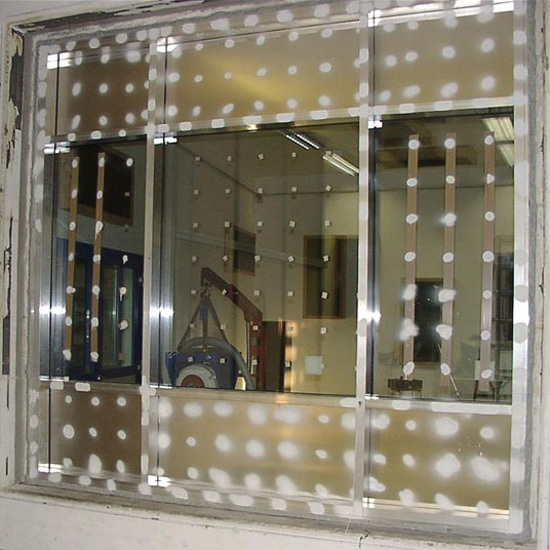 Engineers at Fraunhofer Institute for Structural Durability in Darmstadt, Germany apparently have found a way to cancel out environmental noise using the very windows that normally amplify it. According to Discovery Channel, “postage stamp-sized patches made of a ceramic called piezoelectric material, which behaves both like a sensor and vibration generator when shot with an electric charge” were embedded into test windows. Wires running through the window link the stamp-sized patches to a computer controller and an amplifier. 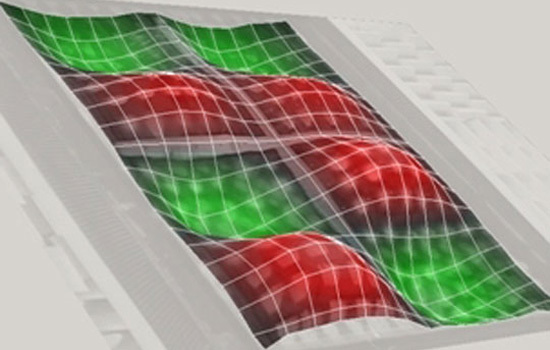 When a sound-generated vibration rattles the window, the piezoelectric patch senses it. That data goes to the controller, which in turn delivers a specific electric charge back up to the patch, causing it to vibrate at a phase that ideally cancels out the sound vibrations. In laboratory experiments, they were able to reduce noise of 90-100 decibels (the sound of a subway or power mower) by 50 percent. Other technical and cost issues aside, we wonder if you could doubly reverse this. What would happen, for instance, if one were to embed these stamp-sized piezoelectric patches into Notre-Dame's new stained glass windows, and rather than canceling out incoming noises from outside, outbound noises from the altar and nave get amplified? Paris will burn, perhaps. Nevertheless, we do like the idea of cathedrals humming to the surrounding landscape with a Requiem mass or Haydn's Creation. We've always imagined how incredibly cool it would be to hear Pärt's Sarah was Ninety Years Old inside the cavern's of Hagia Sofia, and now wonder how it would be like for to hear its hypnotic drum beats echoing, like a muezzin's call to prayer, through the streets of Istanbul. Of course, future applications will more likely involve rewiring your windows so that they can alert you of incoming X-ray hurricanes and to wage suburban audio warfares? The idea of cancelling out noise by simply applying a reversed waveform (add them up and it equals zero) has certainly been around for a while, but it is interesting to see someone developing it into a feasible technology for windows. With that said, I worry that the report might seem more promising that it is... in acoustic terms, reducing noise by "50%" usually just means making a noise quieter by 10dB. While that's nothing to sneeze at, that's still just about 3 clicks down on your TV's volume control. Suddenly the piezo array seems less magical to me. Flashback to Physics class...thanks for the memories!